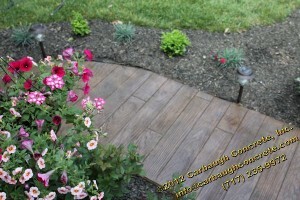 The wood plank pattern simulates wooden decking. This pattern is great for sidewalks between other patterns! 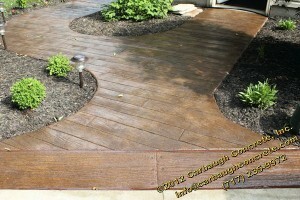 A semi-smooth pattern with a wood-grain appearance. 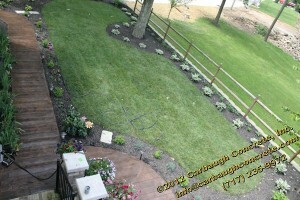 Insignificant grout line with the appearance of planks abutting one another at the sawed ends and between planks. View our Wood Plank Archive to view some of the projects we have completed using this pattern. 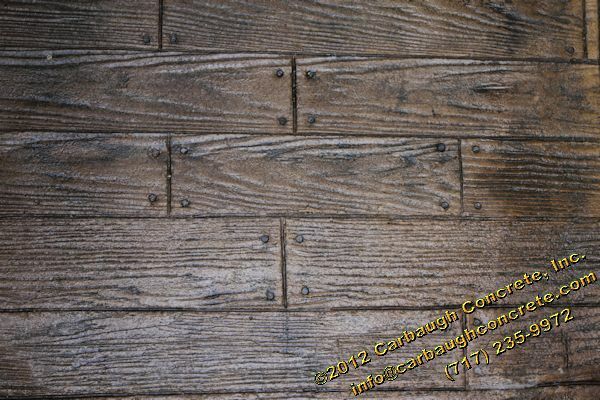 Contact us today to schedule a free estimate for a Wood Plank stamped concrete project!